​MODERN JACKET FORM, SLIM, CLOSE FIT, ELEGANT FINISH. THE NEW, SUPER STRETCH JERSEY JACKET FABRIC ENSURES A HIGH DEGREE OF COMFORT AND PERFECT FREEDOM OF MOVEMENT. THIS GARMENT FEATURES TWO FLAP POCKETS AT THE FRONT AS WELL AS TWO REAR SLITS. THE RIDING JACKET IS CLOSED BY MEANS OF A ZIP AS WELL AS A BUTTON BAND, WITH FASHIONABLE DECORATIVE STRASS BUTTONS. 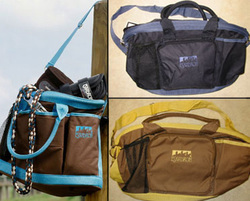 THE COLLAR FEATURES HIGH QUALITY CORD EDGING. THE QUILTED SEAMS AROUND THE FLAPS AND REAR SLITS COMPLETE THE TASTEFUL DESIGN. Pikeur Saphira ladies' competition jacket. New for Spring/Summer 2016 this show jacket is in the same style as the Sarissa II, made from stretch easy care lightweight fabric to give a great fit and a comfortable ride. Zipper on the inner under the buttons for a closer fit. Embellishments on the collar, and also the Pikeur logo on the sleeve. Double vents at the back, with embellisments around the edges. A smart competition jacket which also looks great as a casual blazer worn with jeans. Short style with detailing around the collar and pockets. Contour fit with FULL McCrown leather seat panel. Single front zip pocket and single belt loops, cut for smooth lines. 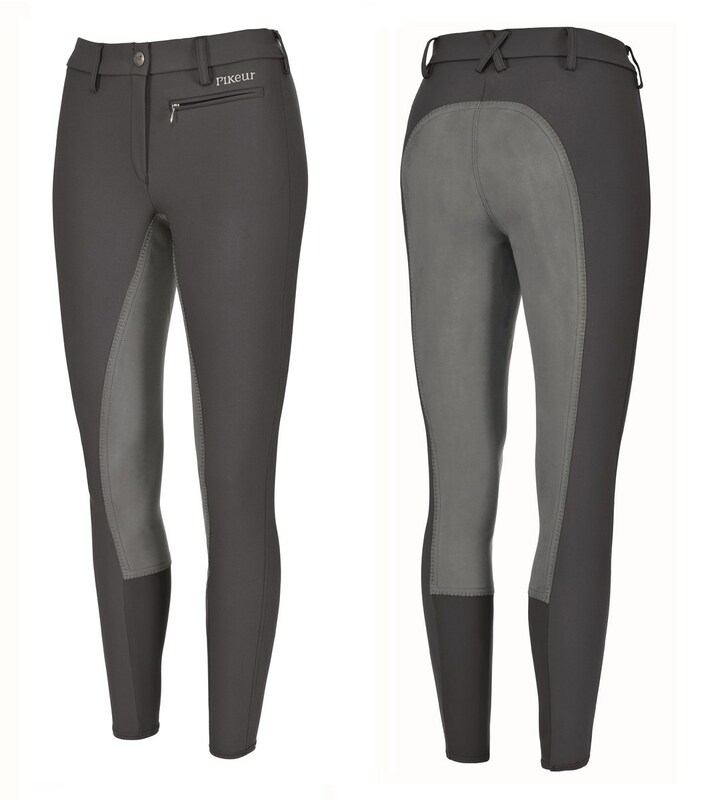 The Pikeur Lugana Breeches have a very popular mid to high waist cut which ensures a perfect fit and a comfortable feel. The fabric qualities offer good freedom of movement and climate management, as well as high wear resistance. This model also has a practical zipped pocket at the front. Same fit as the Princesse Breeches, but with a McCrown synthetic leather seat which is fully machine washable. Most Competition colours & Sizes available. 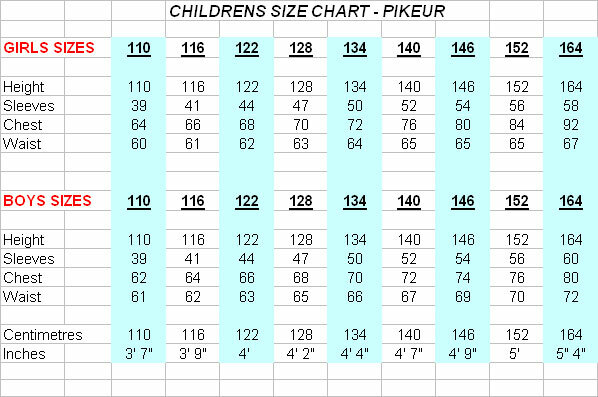 Please check your size against the Pikeur ladies size chart at the top of the page. Colours beige, navy, maize, black, sahara, cream, safari, nightblue, walnut, white, dark shadow. 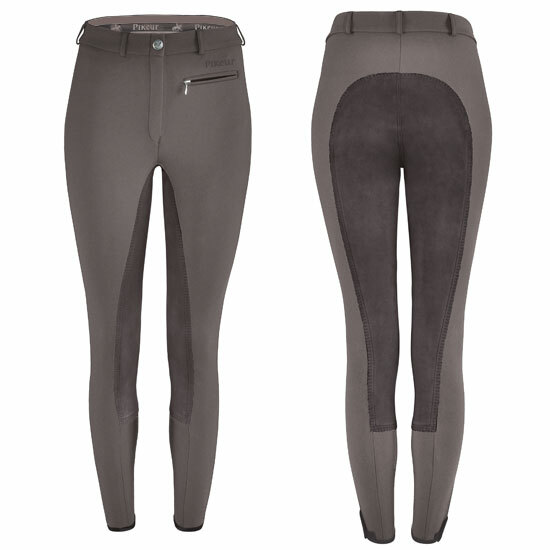 ​The Pikeur Lugana Stretch Ladies Breeches are the top selling classic breeches model by Pikeur. The popular close-cut style in particular ensures a perfect fit and comfortable feel. Equipped with a 3/4 seat panel and a zip pocket at the front. Also available in special Winter Softshell quality! ​Colours beige, black, night blue, bronze, white, dark shadow, safari. Colours black, nightblue, bronze, white, slate, dark shadow, safari, truffle. Beautiful full grip seat breeches from Pikeur with a stunning arrangement of little crystals under the front pockets and on the back. 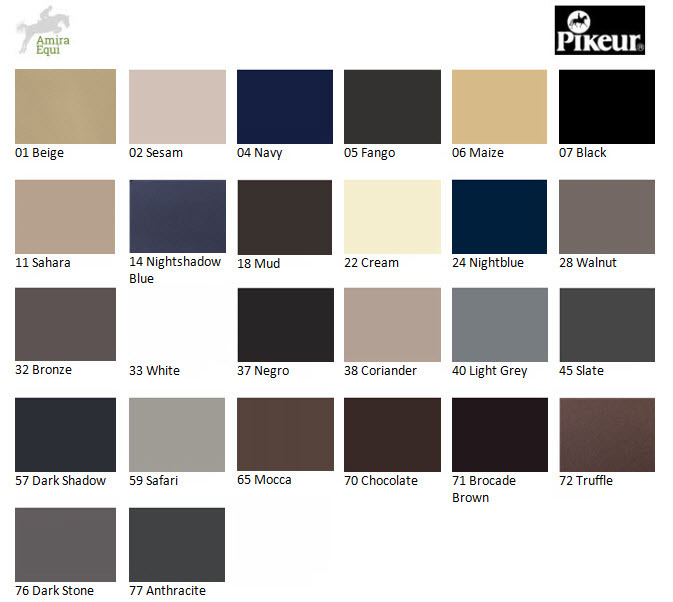 Colours: black, nightblue, white, taupe, steel grey. Leather belt with snaffle detail, various sizes. 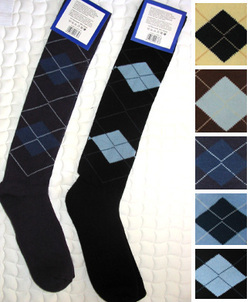 Argyle design in cream, summer brown, Air Force blue, sky blue, and midnight black. 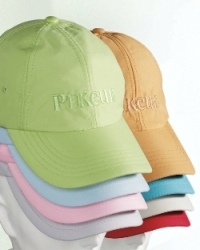 PIKEUR cotton cap with embroidered logo in a variety of colours and designs. NEW! The latest travel accessory - absolute must for competition day! Fantastic lightweight bag with handles and shoulder strap in contrasting colours. Draw string closer keeping contents safe and dry with handy zip pocket, water bottle holder and pouches for brushes and all your equipment around the outside for quick access.